This week began at home but got packed up and finished on the sewing machine I learned to sew on. 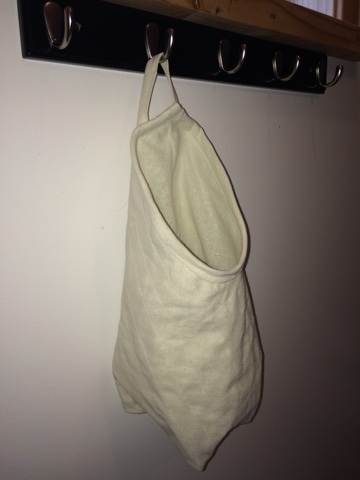 I was surprised to find, sewing, like yoga, releases muscle memory and can stir up long lost memories. 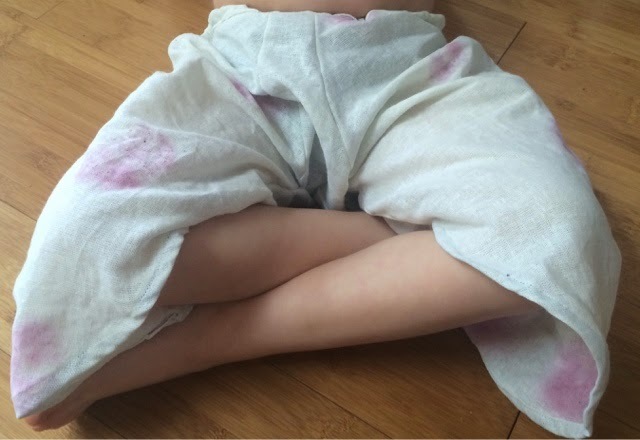 My daughter was the inspiration for the items that I created. She loves to twirl, dance and sing. 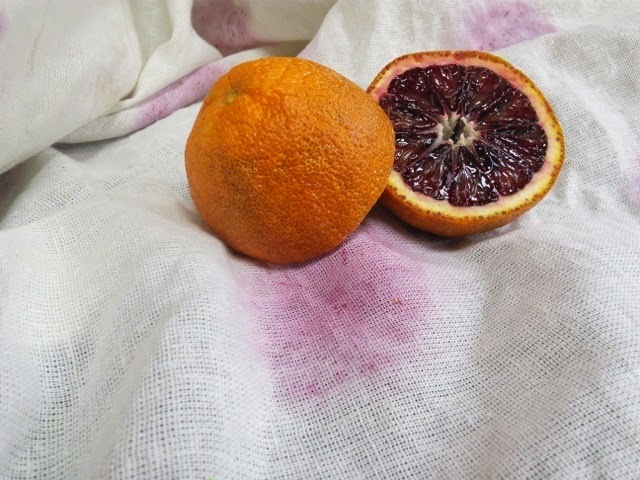 She also loves oranges and her favorite colour is purple. The resulting designs are circles upon circles, color and cuts. 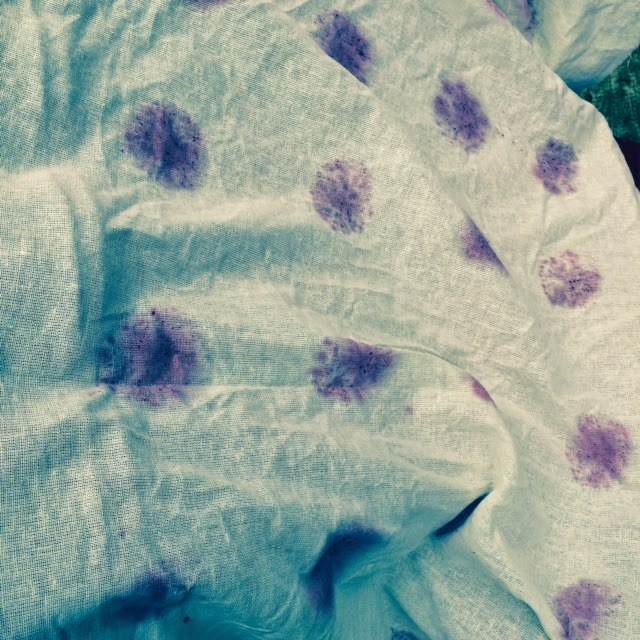 From the previous week, I loved using the red cabbage as a natural dye and it produced such a beautiful range of colors. So I started with a blue dye bath from cabbage leaves. I then created a polka-dot pattern with half of a blood orange as a stamp. I am impressed with how striking the resulting color is. To create a circle dress with full twirl, I cut out a circle 12" in diameter in half of the yard of organic cotton and hemp fabric. The corners became the bodice, straps and bows for the dress. Then the 3" circle I cut out of the middle of the skirt circle became a pocket. The overall pattern was super simple, but it took me many attempts, and I tested my daughters patience many times, working out the fit. The second half a yard of fabric was a challenge! You may have guessed by now that I do not design with a clear plan in mind. Rather, I like to go with the flow, so to speak, and see how the shapes and lines that emerge guide my design. While changing from a cape, to a pair of pants and a sun hat, then finally the ruffled bloomers, the second half yard of fabric became a test in garment reconstruction. 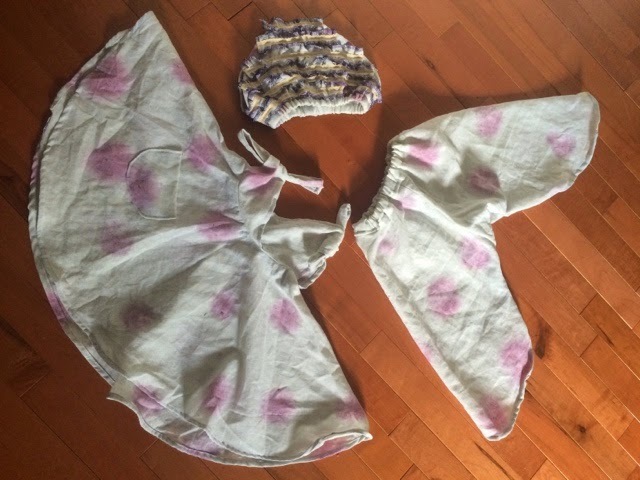 I tried to keep with the circle theme and finally created a pair of fisherman style pants and a pair of bloomers to wear under the dress. 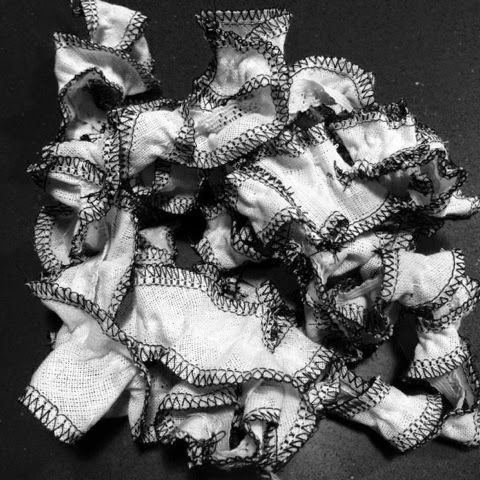 All of the remaining fabric was cut into strips and sewn end to end to create the ruffles on the bloomers. The success of these items can be measured by the pictures of my children wearing them. 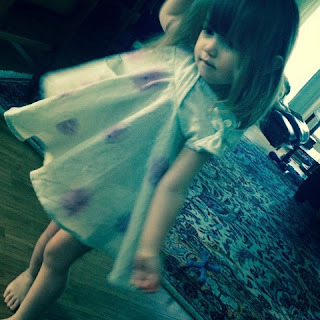 I can proudly say that my daughter, finally, danced, twirled and played in her polka dot dress for hours.